All Progressives Grand Alliance party’ former chairman, Mr Akeem Arowolo Jimoh has been murdered. According to family sources, some suspected hired killers stormed his home on Kelani st off Adealu st in Dopemu Lagos in the early hours of Sunday. The killers searched his residence for valuable information before killing him around 3am. 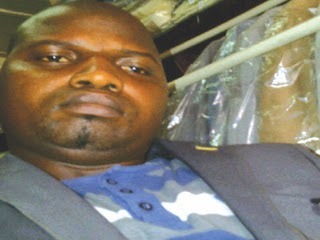 The former APGA chairman was shot at close range and died instantly. Late Akeem graduated from Kwara State Poly in Ilorin before opening a dry-cleaning business in Agege. He hails from Ojoku in Oyun LGA of Kwara state. The deceased is survived by a wife, 2 kids and an aged mum. Wicked world, May his soul Rest in Perfect Peace. RIP Akeem,may the pain they caused this family especially the kids and aged mother fish you out and measure out same treatment to you and all that support you in Jesus name. This is the reason I fear to live in Nigeria. Little incident and someone plotting how to assinate you. We are fighting boko haram’ armed robbery’ kiddnaping’ witches and wizards. God help us.